What is a Guest seat? Users with a Guest seat in your account can view any session that is sent to them as a share link. Guest users can only view shared sessions and their access is restricted to the playback screen. 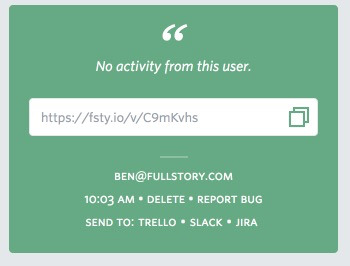 They will not be able to navigate back to the main FullStory dashboard to run any searches or view any other users or sessions. 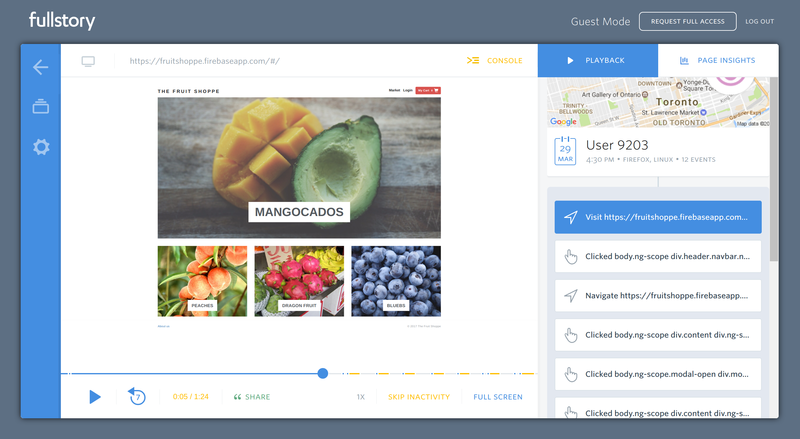 If you have a Pro account, the Guest user will be able to interact with the Pro features in the playback screen, such as Page Insights and Console. NOTE: Anyone with an email from these domains will be able to create a Guest account and view shared sessions. How does a user get a Guest seat? Once you've enabled Guest seats for your account, you can start sharing links. You do NOT need to manually add any Guest users. They will automatically be added to your list of Guest seats once they have viewed a shared session. Guests can login using Google Authentication to instantly provision their Guest seat. They'll be taken straight into the session to start viewing the playback. If your account requires Google Authentication, your guest must use Google Authentication to log in. If your account does not require Google Authentication, Guests can also choose to have an authentication link emailed to them. 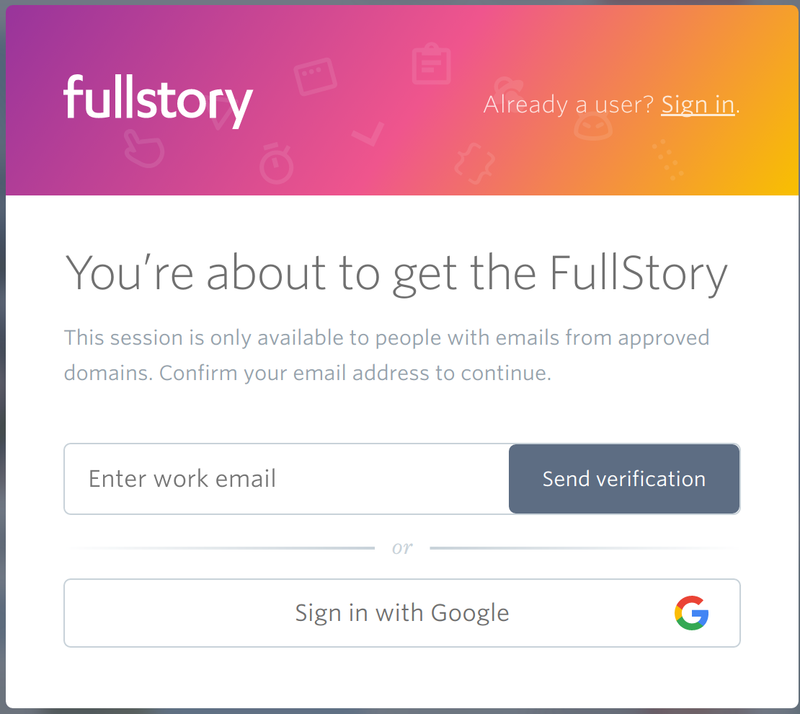 Once they click the link in the email, they'll be taken straight into FullStory to view the session. NOTE: The domain of the Google account or email address they use to log in must be included on your domains whitelist. All of your Guest users will be listed under the Sharing Settings section of the Team Settings page. You do NOT need to manually add any Guest users. They will automatically be added to your list of Guest seats once they have viewed a shared session. 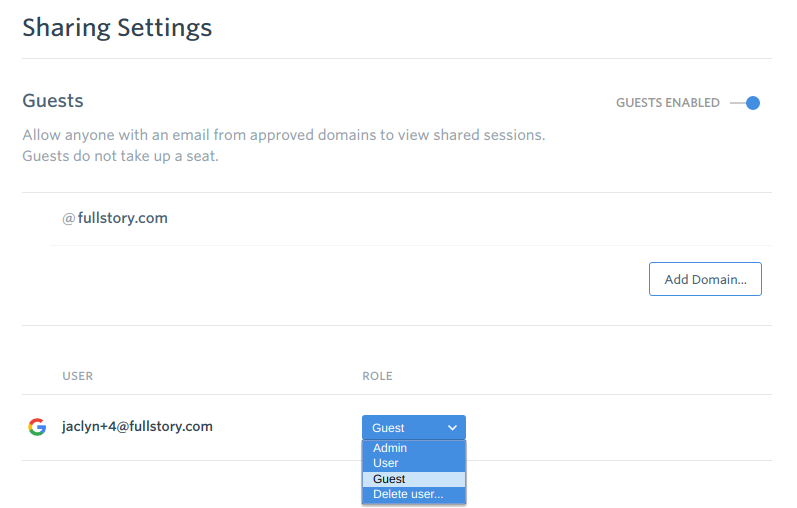 You can delete Guest users or promote them to a full access seat using the drop-down menu. Deleting a Guest user will not prevent them from creating another Guest account if their email domain is still whitelisted. NOTE: You do NOT need to manually add any Guest users. They will automatically be added to your list of Guest seats once they have viewed a shared session. What sessions can be viewed by Guest users? 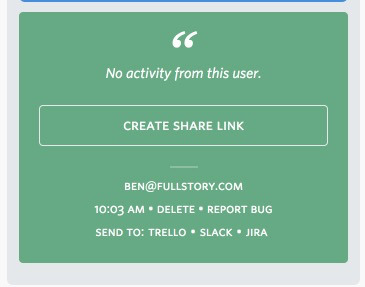 Only sessions where a share link has been created can be viewed by Guest users. Once a share link has been created and the user is logged in, any URL that links to the session will allow the user to view the session. Note how in the screenshot above, there is no share link created. Without a share link, this session won't be visible to guest users. In the above screenshot, we can see that the share link has been created, which means any URL linking to this session—e.g. from a Jira bug report—is now viewable by a logged-in guest user.